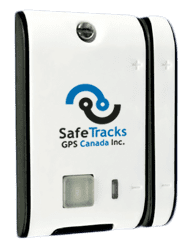 SafeTracks Lockable GPS Tracker - Cybermation Inc.
A waterproof solution to lockable GPS trackers that is perfect for Autism, Alzheimer's, Dementia and many others! The SafeTracks lockable GPS tracker is waterproof up to 3 feet, making it the most convenient option for tracking those who wander, whether they are children or adults. No longer do you have to worry about washing hands or getting caught in the rain! SafeTracks has many features available in addition to simple GPS tracking. This device has fall detection, overspeed detection, a reminder feature, and the ability to place an Emergency Call to a designated number (or call center) simply by pressing a button on the side of the watch. This is the next generation product in Wandering, Fall Notification, and mobile Personal Emergency Response System (mPERS) Technology Solutions. It incorporates 2G/3G/4G cellular, and GPS as well as Bluetooth 4.0 technologies. The breadcrumb feature shows you where the watch has been and allows you to track its location minute by minute, with exceptional accuracy. Alerts are turned on and off via an easy to use web portal or app on your smartphone. You can be alerted when the watch moves in and out of geofences, whenever the clasp is unlocked and opened or closed, the battery is getting low, or the watch detects a fall. Alerts are available through email or text message. The BlueBeacon is available as an add on to the SafeTracks locator. It enables the SafeTracks to be located indoors, or where this is a low GPS signal.